Mark Kandborg stars as Mr. Shine in the concept trailer for Ascendant, our entry into the Cinecoup Film Accelerator. 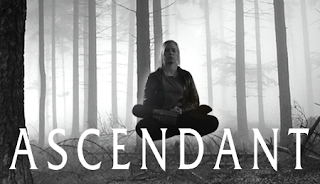 Ascendant is the story of a young woman seeking revenge against an unimaginable evil that tore her loved ones from her. The best trailers chosen are given a theater run and the top trailer will receive a 1 million dollar budget! Knighten Richman will be our point of contact on the ground there, and he is reachable via email krichman@spooktree.com or phone (780) 504-5279. 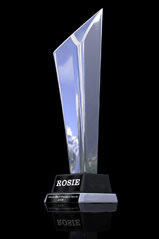 The Corrupted has been nominated for six Rosies at the 37th Annual Alberta Film & Television Awards! Congratulations to our cast and crew! Since the old methodology made it hard to do casual updates to the site, I decided to move us to the blogger platform. There are some limitations, obviously, but for now I think it should make it a lot easier for us to interact with people via our site. Perhaps with the two of us helping to update the site there will be more regular information here for you as far as our current activities. Hope you enjoy, and stay tuned for more. © Spooktree Films 2011. Powered by Blogger.